The benefit to attending the Breitenbush Herbal Conference is that you get to enjoy all of the wonderful amenities this beautiful place has to offer. Blessed with abundant hot springs, a glacier-fed river, and towering Douglas-firs, Breitenbush is a place that you can discover and deepen your connection with the natural world. So when you’re not attending our scheduled classes, we encourage you to take advantage of the following activities. Round-the-clock use of these magical waters is included with lodging. There are three natural pools lined with smooth river rocks. One is designated as a “silent” pool, which overlooks the river below. The other two pools allow for conversation and overlook a meadow along with views of the surrounding mountains. 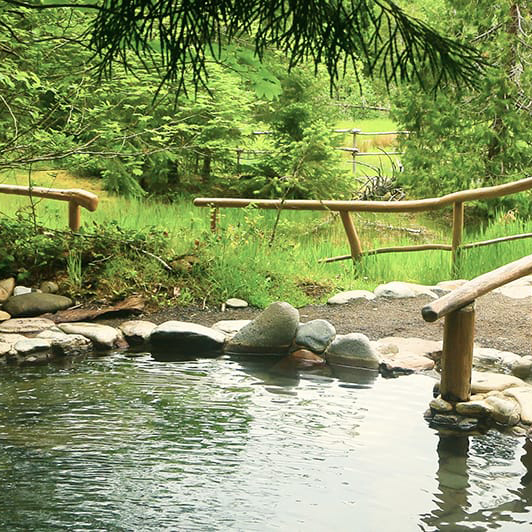 Along with the natural pools you’ll find four spiral tubs that vary in temperature. For a brisk plunge between soaks, there is a deep cedar tub filled with cold water. 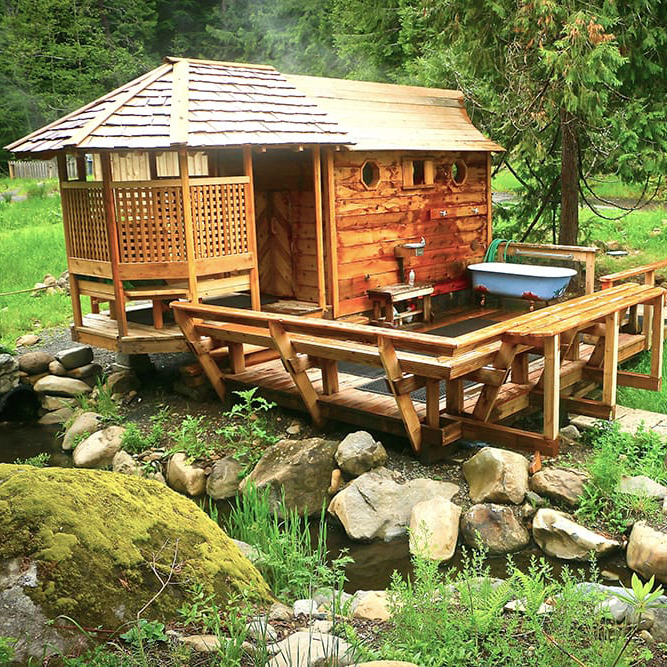 The Steam Sauna is located in a cedar cabin with a slotted floor that welcomes steam from the waters below. On the sauna deck you’ll find a tub filled with cold water from the river. Miles of trails radiate from Breitenbush into the surrounding forests. 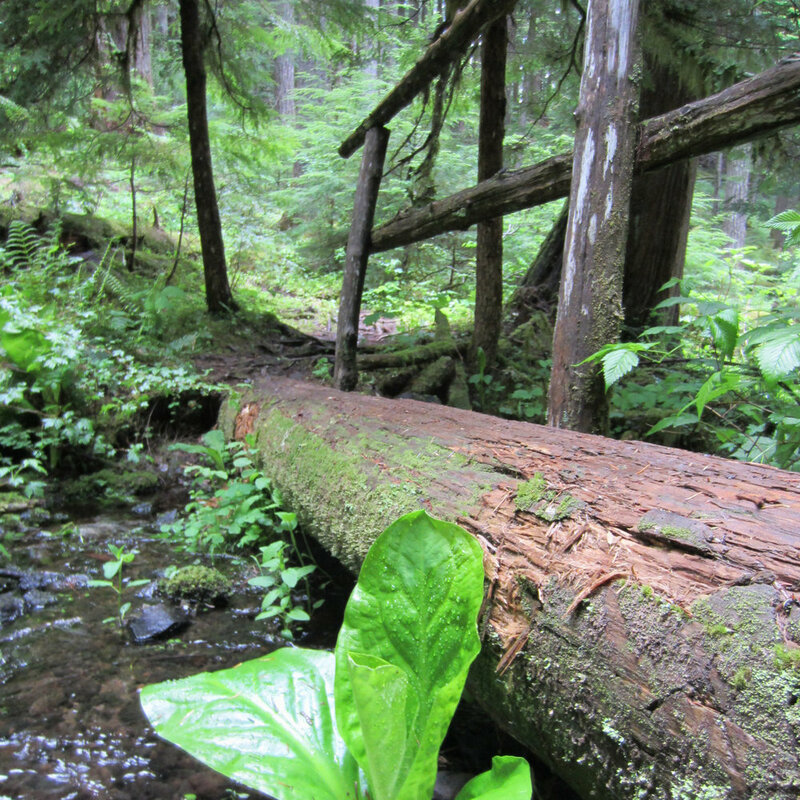 These trails lead through ancient forest cathedrals, past river cascades, and on to stunning mountain vistas. A meditative walk to the center of the labyrinth is a journey to one’s own center, enhanced by the song of the nearby river. The Breitenbush labyrinth, outlined in river rocks, is modeled after the nave at the famous Chartres Cathedral in Chartres, France. Built around 1930, the historic lodge is the center of activity at Breitenbush. Inside the lodge is the dining room where you’ll be enjoying organic buffet style meals, a large event space, and two libraries for relaxing and reading. The Sanctuary is a lovely space with heated floors and large windows peering into the forest. It is a place to relax, meditate, read, do yoga or engage in a personal practice when classes are not being held. Well-being programs vary depending on the day and may be limited due to the conference. These may include yoga, dance, singing, and meditation programs to last from 60-90 minutes. These programs are hosted by the Breitenbush staff and are free to all guests.